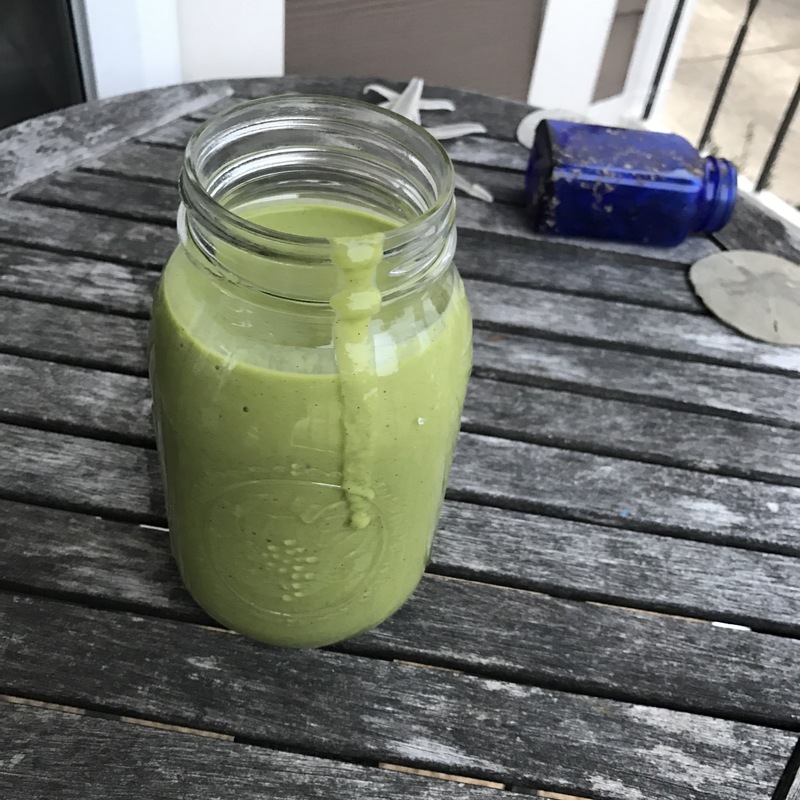 ”Twas the best of smoothies, ”twas the worst of… no wait! I’m getting carried away here. I’m no Charles Dickens, but I can make a pretty BA smoothie, if I do say so myself. And both are vegetable based. Say whaaa? Yep. Vegetable based and you wouldn’t even know it. 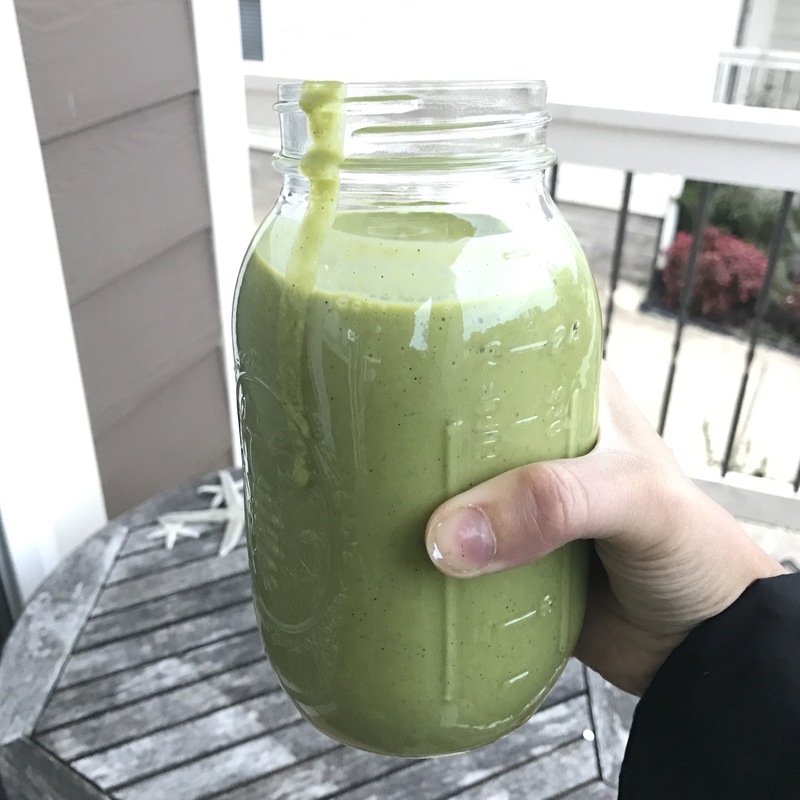 Put the greens on the bottom, pile everything on top and blennnnnd baby blend! 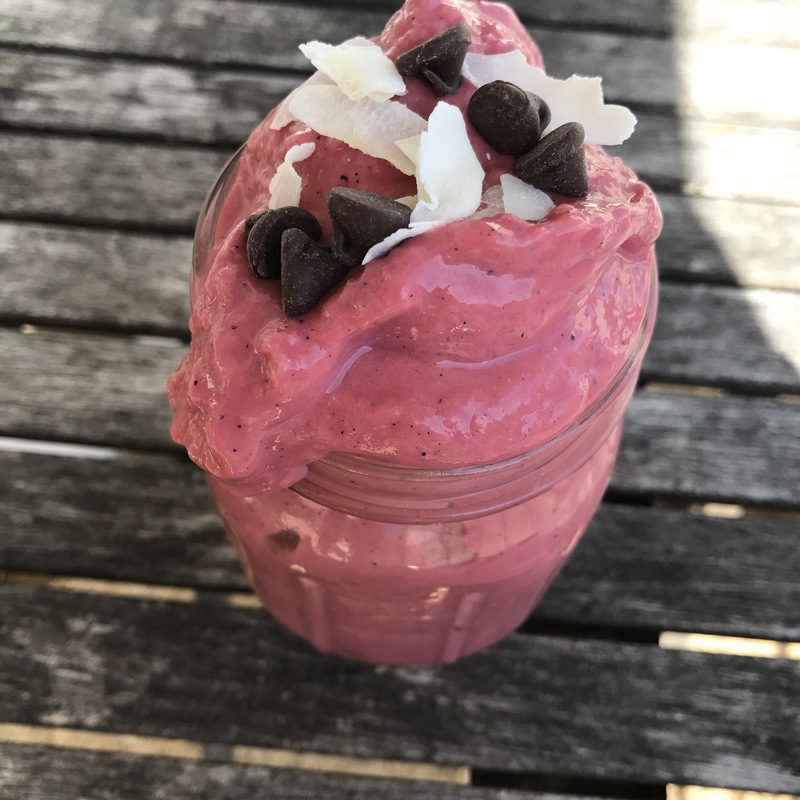 It seems like the blender won’t be able to handle it at first, but if you plunge with that Vitamix plunger tool, it’ll work and it’ll be sooooo think and creamy, just begging for all kinds of toppings to be piled on. Bears.Beets.BattlestarGalactica. Which of those 3 things makes this The Pink Delight? Also, name that show. And if you don’t know the show now, BEET it 🤣🤣🤣. Kidding! What has gotten into me?! Start with the cauliflower, then beets. Then pile everything into the Vitamix and blend/plunge away!